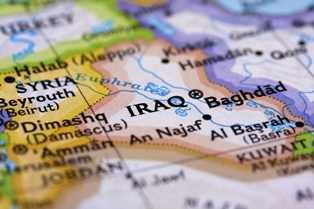 The unfolding crisis in Iraq has Wall Street watchers keeping a keen eye on crude oil prices today. Iraq produces about 3 million barrels of oil per day – 80% of which is exported – and its civil war has market participants on an oil price watch. Crude oil futures ticked a tad lower Thursday as investors digested the supply and export outlook in Iraq, as well as demand prospects from the United States. West Texas Intermediate (WTI) crude for August delivery slipped $0.21, or 0.2%, to $106.28 a barrel in morning trading. August Brent crude eked down $0.41, or 0.4%, to $113.59 a barrel. The dips, however, are likely temporary. As Money Morning Global Energy Strategist Dr. Kent Moors has explained, prices further out on the futures curve are rising much more quickly than anticipated as worries mount over global supply and demand. "As the next-month rates [August 2014] fell in yesterday's [Wednesday's] trade, oil prices as far out as December 2018 began to spike," Moors said. Here's what's weighing oil prices down for now – and what's ahead. Keeping oil prices in check Thursday were a trio of economic reports released Wednesday. The U.S. Department of Commerce's final read on first-quarter U.S. gross domestic product was a huge disappointment. Whereas it initially reported that GDP grew by 0.1% in Q1, the figure was revised downward to a negative 2.9%, showing the economy shrank in the first three months of 2014. A separate report revealed U.S. durable goods orders fell 1% in May, the first decline in four months. Weekly supply data showed U.S. crude oil inventories increased by 1.7 million barrels to 388.1 million as of last week. Expectations were for a decline of 2 million barrels, according to a Platts survey. Crude oil prices were also weighed Thursday amid an absence of signs that Iraqi oil production or exports have been disrupted.